We are your local, friendly, professional security specialists based in the heart of Worcestershire. We supply, install & service security and safety equipment for home, industrial & commercial premises. Faithful Alarms LLP have been serving Worcestershire, Gloucestershire, Warwickshire, Herefordshire & Birmingham for more than 15 years. 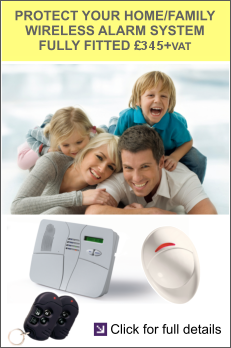 As an SSAIB Insurance Approved Company, Faithful Alarms LLP supplies and installs “Bells Only” & “Monitored Intruder Systems”. We give FREE quotations for new systems and can also repair systems not installed by us, if you would like a friendly chat and a bit of advice please do not hesitate to contact us on 01905 616784 or click here to email us.